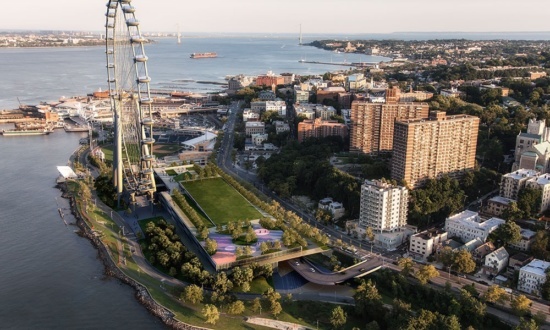 For the past six years, the St. George neighborhood of Staten Island in New York City has been anxiously awaiting the arrival of what would be one of the city’s greatest landmark attractions: the giant, 630-foot New York Wheel with views of the New York Harbor, Statue of Liberty, and New York City skyline. While over $400 million has been sunk into the project since its conception, little has been done to get the ball rolling. Construction has barely begun, and Mayor de Blasio recently signaled that it may not ever happen. The New York Wheel promised to transform the humble yet densely packed neighborhood of St. George into a world-class, waterfront destination. Aside from the Wheel itself, whose 36 spacious and climate-controlled pods would provide visitors with fine food, drink, and breathtaking views of the city, the site also comprises five acres of publically accessible grass space for events, a state-of-the-art children’s playground, and a terminal building with restaurants, shops, and boutiques. The project would have potentially revitalized Staten Island, a borough that has long been neglected by New York City tourists. Yet the government’s decision to oppose the funding of the New York Wheel comes after a surge of similar projects in cities like Berlin and Beijing that eventually failed due to a lack of support and income. 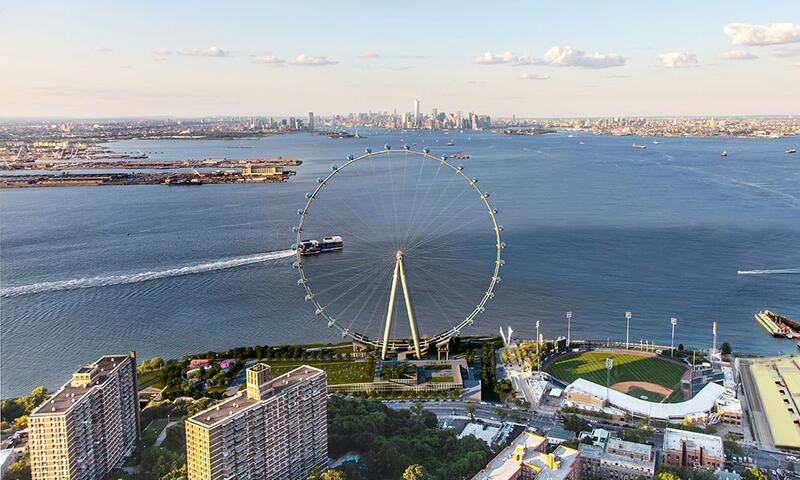 “Despite many recent conversations with the Wheel developer, we remain convinced that public funds are too scare and valuable to be leveraged for this venture,” an official with the Economic Development Corporation told New York 1. Since the Wheel’s developer and former contractor, Mammoet-Starneth, hoped to rely on the city for financial provision, the two parties were forced to craft a new deal that would give the development team until January 7, 2019 to hire a new contractor and complete the project. According to Staten Island Advance, a hearing on a motion to approve the agreement has been set for September 21. Until then, the fate of the Wheel remains unknown.